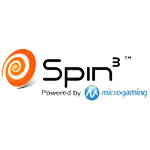 Spin3 is a division of Spiral Solutions Ltd., a group which is partnered with the online casino software giant Microgaming. 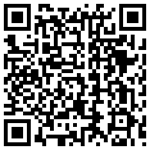 The group offers turnkey mobile casino software solutions to gambling providers around the world. While Spin 3 started off producing software and games for standard mobile devices, they were among the first to branch out to smartphones, providing games for iPhone and iPad, as well as Android powered mobile devices. The selection Spin 3 mobile casino games is impressive. It is based largely on Microgaming’s online casino game portfolio, and includes some of the group’s most popular mobile slots like Mega Moolah, Tomb Raider, Thunderstruck and Major Millions. These games have been trimmed down to work well on mobile platforms, but they offer all the thrills of the originals, and are attached to the same progressive jackpot prize pools as their online cousins. Today, there are more than 20 excellent Spin 3 casinos to choose from, including dedicated mobile casino gambling sites as well as mobile-facing versions of popular online casinos and sportsbooks. Spin Palace Mobile, part of the popular Spin Palace Casino, is now offering 21 of their best games for WAP-enabled mobile phones and 11 iPhone games. Three deposit bonuses, weekly free slot spins, and a great one-year loyalty bonus help players keep their accounts full. It’s also worth mentioning that Spin Palace lets players top-up right from their phone.